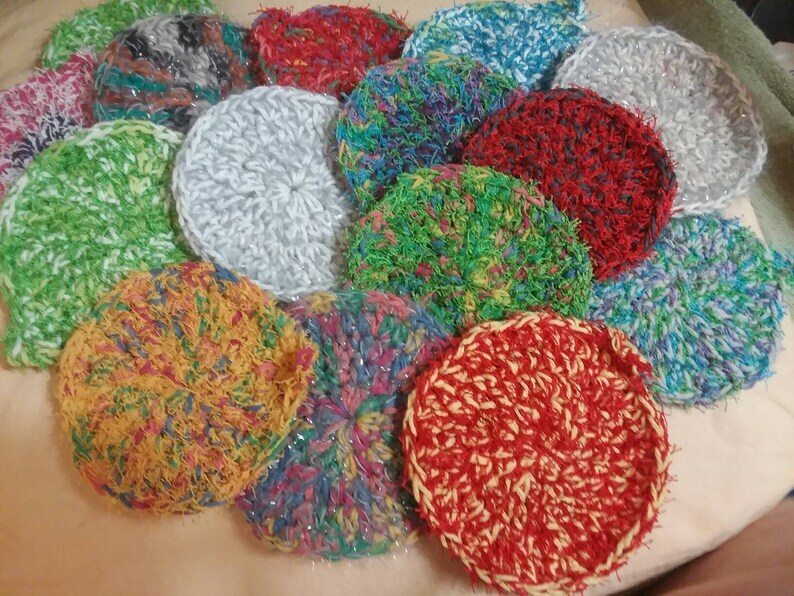 Miscellaneous scrubbie, perfect for washing dishes. These are hand-crocheted using cotton yarn and a polyester scrubby yarn together making a really great dishwashing scrubby. They are washable and dryable so just toss them in the wash when you need to. They will last quite a long time! We are loving ours and have already washed them. Assorted colors, depending on what scrubby yarn I can find at the time. One each. Perfect secret pal gift or part of house warming gift!